B4LM was established in 2008. Our writing represents a renewed reality in respect to the Word of God by presenting familiar passages of scripture in hopes that readers are empowered to apply it to their lives and by Faith, receive the promises of God. We utilize a practical writing method that make our books familiar and easy to read. Moreover, we believe that by writing outside the box of the Christian norm, we are not defined or confined to the Christian genre. Our books are strategically written to reach readers who want to personalize and embrace their Spirituality over Religion, and for readers who desire to be proactively progressive in their relationship with God. Therefore, it is our prayer that our books enlighten, inspire, and are relatable tools for our readers to have a closer walk with God. Minister D.A. Whitney, better known as “The Rev”, is a Brooklyn, New York native who grew up on the West coast in California after joining the U.S. Marine Corps. The Rev is no stranger to the Gospel of Jesus Christ. His initial training began under the tutelage of his parents, both Ministers of the Gospel who instilled in him a foundation of the Word of God and faithful stewardship. In 2008, The Rev became a licensed Minister of the Gospel, co-founded Blessed 4 Life Ministries and co-authored his first self-published book. The Rev received additional licensing in Evangelism & Outreach in 2004 and Lay Leadership in 2006. The Rev is an esteemed recipient of the Shirley Chisholm Certificate of Appreciation for the Congressional Arts Competition in New York City, as well as numerous awards and community accolades. The Rev is a dynamic speaker and confident in proclaiming the Word of God. 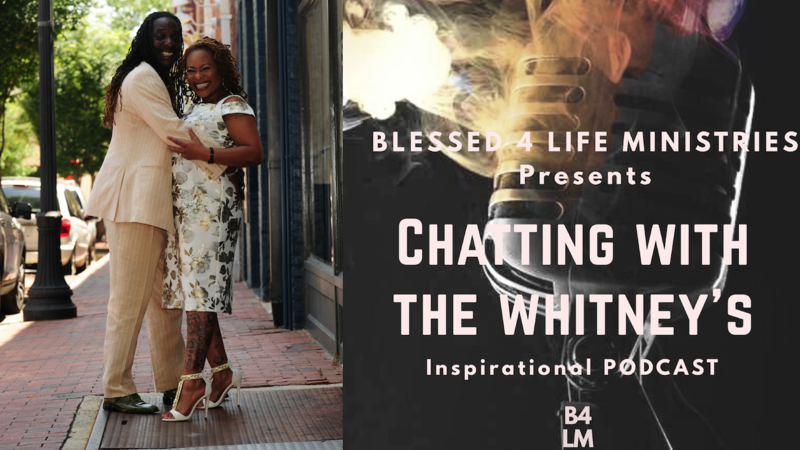 The Rev is also the Co-Founder of Blessed 4 Life Ministries, which encompasses life-coaching, marriage counseling and self-publishing assistance to aspiring writers. Currently residing in Raleigh, North Carolina, the Rev is well known for serving the local community at large in Christ Jesus name. The Rev is the truest definition of a community preacher, spreading the Good News from California to New York, and everywhere in between. The Rev and the love of his life, his wife Shannon have been together for over 20 years. They have four children and two grandchildren. Shannon Whitney is a native Californian, currently residing in Raleigh, North Carolina. Shannon is a wife, mother, speaker, author, artist, creator, motivator, game-changer and trailblazer! In Ministry, she is an Intercessor (prayer warrior) and Messenger. As an author, Shannon utilizes the platform to inspire, motivate, minister and present the Gospel with contemporary swag. Shannon and her husband have co-authored six books as self-published authors and are Founders of Blessed 4 Life Ministries (B4LM). Tune in every single day at 6:00 pm EST for "Chatting With The Whitneys"!